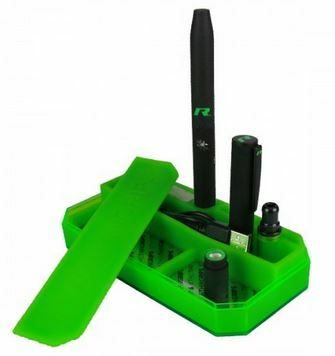 If you are looking to find the best vape pen around for concentrates, you have come to the right place. The market for vape pens for shatter and dabs has been rapidly evolving, sometimes making it difficult to keep up with latest products. Here at Vaporizer Chief, we test all the dab vape pens that we sell in order to know which products are the best so that we may pass that information along to our customers. In order to choose the best wax pen, it’s important to consider which qualities are most important to you. For example, some people may prefer a more flavorful hit and they may want a ceramic atomizer, as opposed to others who want the deeper rips that only a double-quartz coil provides. For this guide, we will be listing our personal favorites under different price categories, as well as covering each unit's features. At this price range, you’ll have full access to some of the best dab pens available today and experience the latest, greatest innovations. The Puffco Plus is an upgrade from the Puffco Pro. In fact, it’s a completely different design, with it’s dart cap, fully ceramic oven, and advanced airflow. 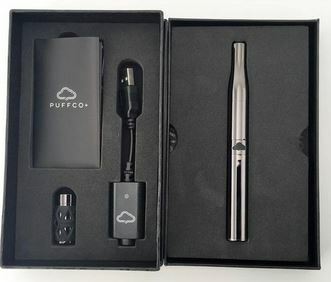 Puffco released this unit in order to successfully compete in the big leagues of concentrate vaporization. They did away with the coil from the Pro; the Puffco Plus features an all ceramic wax chamber that increases the flavor in every hit and conserves your wax even better than the Pro did. Priced at $89.95 this concentrate pen is, in our humble opinion, one of the best options on the market and it's hands down a steal at this price range. The Source Orb 4 is one of the hottest products to be released and it has remained our list for a substantial amount of time now, and for good reason. The Source comes packaged with six different wax atomizers to choose from; this device provides both awesome versatility and amazing value at the same time. The Orb 4 has a slick design and it is composed of Stainless Steel 303, which is one of the cleanest and healthiest materials that can be used. 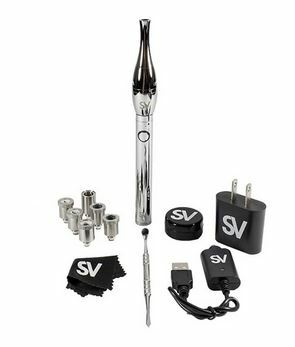 Additionally, it features a smart lock magnetic system to seamlessly load your material, as well as variable voltage battery with 5 different settings to choose from. Simply put, this is a high quality unit that currently ranks as one of our best to date. 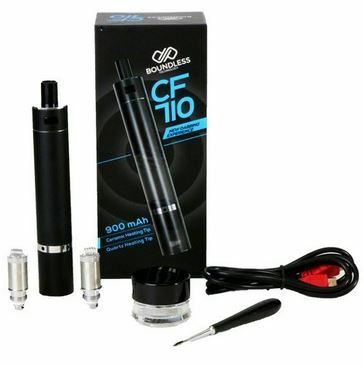 The Boundless CF 710 is strictly for use with concentrates and it was the first wax pen release for Boundless. This unit in particular, is pretty much designed to be like an electric nectar collector. It looks like a big vape pen that is reminiscent of a highlighter or large marker; it comes complete with a removable cap at the bottom that unscrews to reveal the ceramic or quartz coil (depending on which you prefer), which then heats up instantly after pressing down the power button. It can be simply used like a straw, brushing the coil against product while hot from a glass Petri dish. Its battery life lasts for approximately 37 to 40 hits with a full charged battery. However, if you are looking for discretion then this is more of a household device than a portable one, being as it needs more pieces than just the device in order to enjoy a session. Like other Boundless products, if you choose to purchase this device at $74.99, you won't be disappointed. 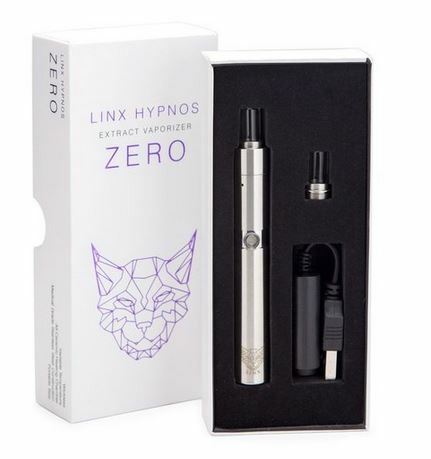 If you looking for a value vape, there’s not many that can compete with the Linx Hypnos Zero. 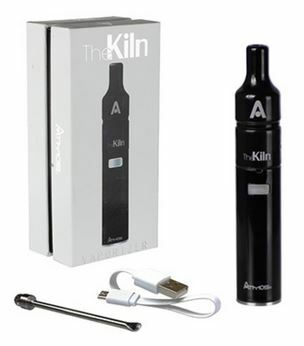 Similar to the Atmos Kiln, this device has an all ceramic plate atomizer which helps to provide the purest vapor you’ll ever experience from a device at this price point. The Hypnos Zero also has a temperature control battery with 4 different settings, as well as an all glass mouthpiece, which we find to be one of the best delivery paths. When you combine these three aspects together, the result is this great product capable of consistently providing a remarkable vaping experience. 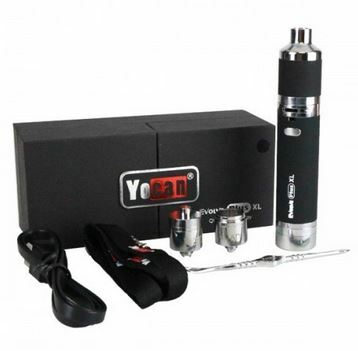 The Yocan Evolve Plus is the upgraded version of its older brother, the Yocan Evolve. It features the same coil cap that reduces heat in the mouthpiece, and prevents leakage of concentrate, thereby producing a perfect hit every time you use it. Unlike it’s older brother, the Plus features a silicon storage for concentrates at the bottom of its powerful 1100 mAh Battery, which makes it truly one of the best portable concentrate vapes in the game. Priced at 59.99 this unit is a must have at its price range. The Atmos Kiln RA Kit is the updated version of the original Atmos Kiln, which is one of the first products to be developed with an all ceramic chamber. This design implements a deep ceramic heating chamber but also allows you to the capability to change out the re-buildable atomizer inside. This is important because you will be able to buy replacement coils which are much cheaper in comparison and it will help cut down on costs. Our favorite aspect of the Kiln RA is that it provides great flavor while skillfully preserving your concentrates at an incredible rate. Out of a single load, we seem to get more than twice the amount of hits when using the Kiln RA in comparison to other models that utilize different coils. On top of that, it has a 950mAh lithium-ion battery which provides plenty of battery life and allows you vape discreetly all day long. The Source Orb Slim is the baby-brother of the Source Orb 4. A slimmer version that comes with two quartz crystal atomizers rather than six like the Source Orb 4. The Source Orb Slim utilizes the same 3.2v - 4.8v variable voltage battery to go along with it’s extremely sleek and discreet design. This is a great choice for someone looking for a simple and affordable wax pen without having to sacrifice quality. Retailing at only $50, you’ll be hard pressed to find anything that comes close to this unit in the same price range. The R2 Roil Gen 3 is a step up from the R2 series. The Roil features a ceramic plate atomizer that is great for consistently even heat distribution and flavor when vaping your product. The motto from R2 “This Thing rips” continues to carry on with this unit, as it rips with quality vapor every time you use it. The Roil has 3 temperature settings for ideal temperature while vaping, great portability, good vapor quality, and a 650mAh battery for a nice amount of battery life. Overall it is a decent device to own if you are shopping in this price range.